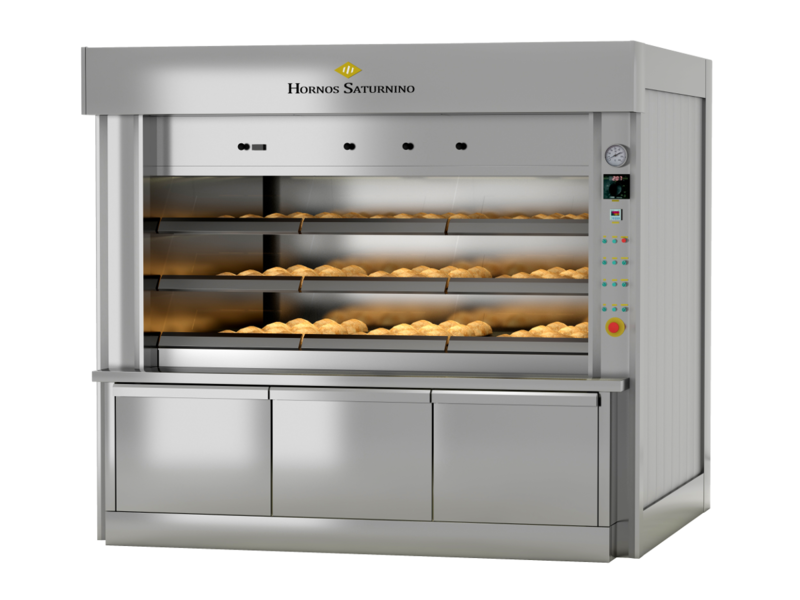 ANNULAR TUBE OVEN MODEL STA. Ovens can be manufactured from 3 mts2 to 36 mts2. Doors are 600 of two, three, and four. Number of decks, two, three, four and five. Floor base built in various measurements: 1.550, 1.810, 2.150, 2.410, 2.750 y 3.010. (Measurements in mm). 64 different models of this type of oven. previousELECTRIC OVEN MODEL SATURNO ELECTRIC.